The Tinapa Lakeside Hotel is located in Tinapa, known to be Africa's premier business & leisure resort in Cross River state. There are 242 rooms in this hotel and each one has been designed/decorated to offer you the best of hospitality coupled with leisure and fun activities. The rooms at the Tinapa Lakeside Hotel are grouped into Standard rooms, Executive rooms & Suites. They also have weekend packages for the Standard & Executive rooms. 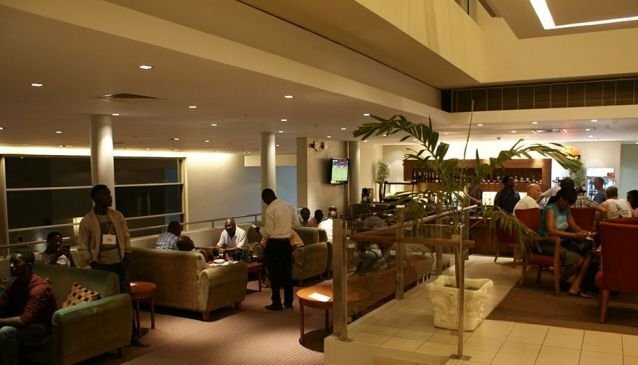 By its location, Tinapa Lakeside Hotel caters to tourists, business people and locals. The hotel has state of the art facilities to host several meetings, halls for conferences, awards and events. There is a restaurant that serves a menu of local & international cuisines. The restaurant also works an A La Carte menu system. There is all around access to wi-fi throughout the premises to keep you connected on the move from room to restaurant to relaxing outside. The hotel has played host to numerous international & local events on the private, public & government side. The hotel provides transport system that will pick you up from the airport, drop you off, take you to town, bring you back and take you round the resort. There is also a jetty for you to arrive via ferry or boat. There is a fisherman village where you find shops, kiosks, restaurants and more to buy, eat and look around. You might be interested in joining the conversation at a restaurant & meet the locals in the area as well as those from afar.